How Do I Work Out Capital Gains Tax (CGT)? I have two houses, both on buy to let mortgages, and I am thinking of selling one house; can you please tell me about CGT and how is it best to work this out because I have a mortgage on the house. CGT is calculated on the difference between the sale proceeds and the acquisition value / price, i.e. how much you get for selling it and how much you paid for it. The fact that you have a mortgage, or how much the mortgage is, is not relevant to CGT in normal circumstances (this is a mistake that many people make - you are in good company!). The mortgage is relevant to CGT only in a scenario in which the purchaser takes over the mortgage from the seller, as part of the deal. In such circumstances, tax law adds the amount of the mortgage taken over to the amount actually paid by the seller to determine the final selling price. 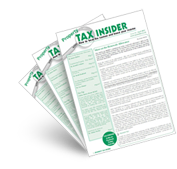 See page CG78600, http://www.hmrc.gov.uk/manuals/cg4manual/CG78600.htm, on HMRC Capital Gains Manual.